Mightier, a Boston Children’s Hospital spinout that makes biofeedback video games to help children with emotional regulation, has raised $2.4 million in seed funding. Slow Ventures led the round, with additional participation from Bolt, Founder Collective, Project 11, and angel investors. The round brings the company’s total seed financing to more than $3.7 million. 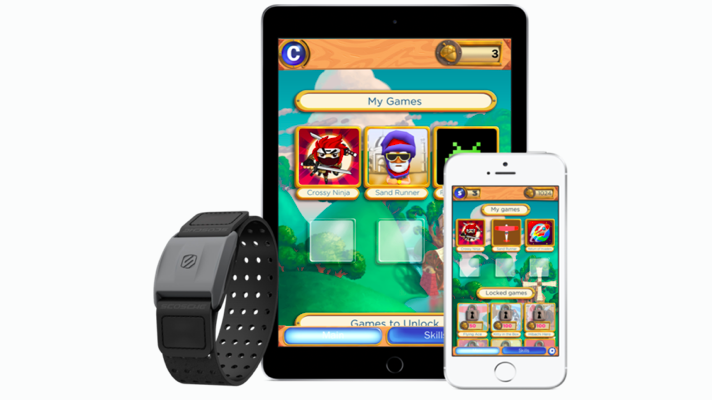 The Mightier system, which parents can currently buy for $250, consists of a library of specially modified mobile phone games from acclaimed indie designers, three hours of coaching support, and a heart rate-monitoring wearable called the Mighty Band. It does not include a mobile device; Mightier expects users will have their own. The Mighty Band monitors the child, but also affects the game. The game offers up strategies for emotional regulation, like deep breathing, but it’s up to the child to calm themselves in order to beat the game. Mightier is not currently seeking FDA clearance or looking to market the system as a therapeutic device. But that doesn’t mean the company hasn’t collected efficacy data. In three separate randomized trials, families saw positive results from Mightier, including a 62 percent reduction in outbursts, a 40 percent reduction in oppositional behaviors, and a 19 percent reduction in parent stress. Some studies compared Mightier to a control group wearing exactly the same heart rate monitor and playing exactly the same game — the only difference was that the monitor didn’t communicate with the game. Mightier hopes the game will help teach emotional regulation to kids with a variety of neurological conditions, including ADHD, chronic anxiety, and autism, as well as kids with no diagnosis. And they hope to continue expanding their library of games from 15 to more than 25.